When we met Jade & Kevin we knew it was going to be a great photo shoot because it was overcast and the lighting was excellent. 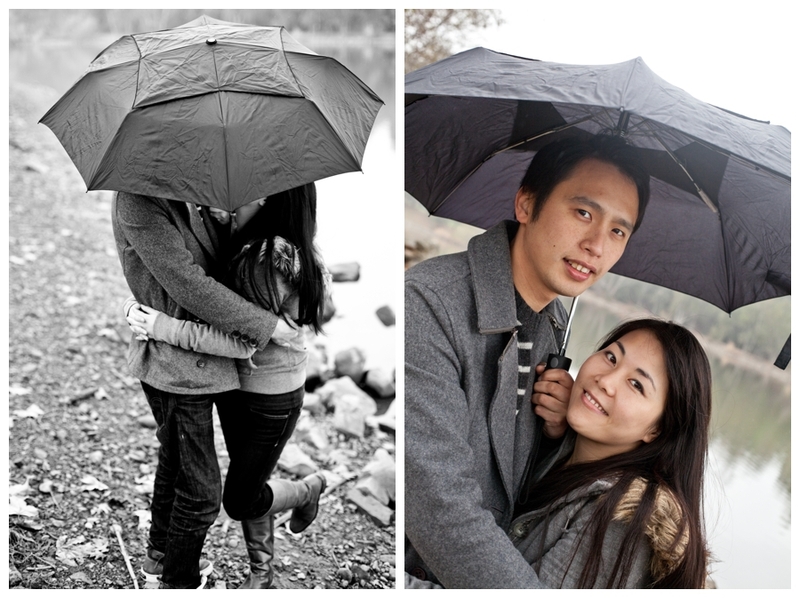 Little did we know it would soon be sprinkling, but this tremendous couple didn’t even mind! Way to roll with the punches guys. After using the umbrella prop (Marissa just thought maybe we’d need it!) it cleared up enough to get these next few playful shots. You can tell these two have a lot of fun together. In fact, the photo shoot was a surprise from Kevin to Jade! Even not knowing what they were doing she still dressed and looked great. This last photo seems to be a private look into their quiet love. Thanks for being so calm and flexible you two!